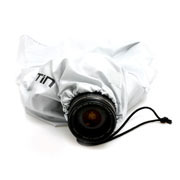 This rain cover made of waterproof nylon protects your camera from rain, dust and all other adverse weathers. The cover can be pulled over the camera in just a few steps. That way you can brave every heavy rains as well as a tropical monsoon. 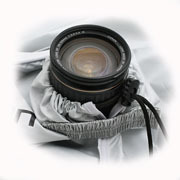 The rain cover can be closed around the lens opening with a drawstring and can be secured with a hook-and-loop fastener. 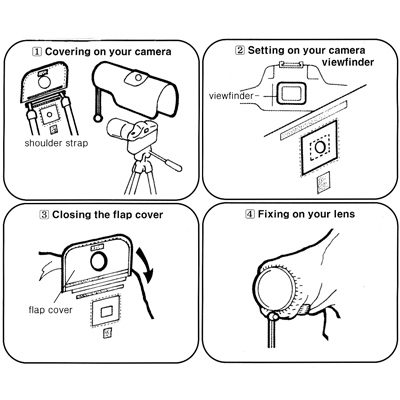 The cover is open at the underside so that the camera is easily reachable and the lens can be adjusted manually. 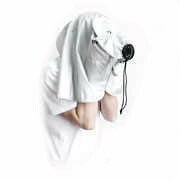 Compatibility: The rain cover is compatible with all types of cameras and lenses with a length up to 180-400mm.